Last week I said about the sudden death of a young man whilst at college. 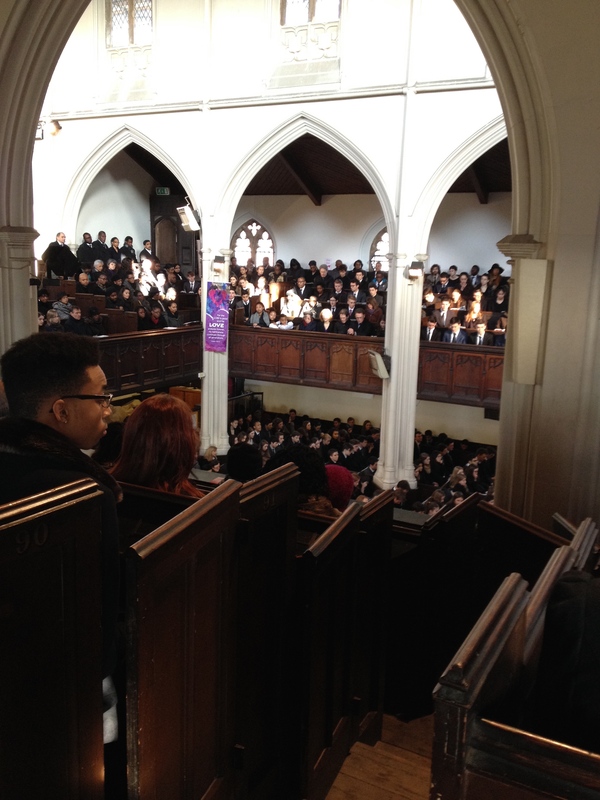 Yesterday, his family, school friends and church family gathered at St. John’s, Upper Holloway to say their farewells. Joshua was only 18 years old, but in those short few years he had been a great and good influence to everyone he knew. He committed his life to the Lord a few years earlier and from what was said and what I have heard, his faith directed him in everything that he did. His father’s wish at the funeral was that his life would have been for good and that others would be able to know the love and joy of being a follower of Jesus through the witness of his son. Funerals can be rather depressing at times – not because of the sad occasion but the lack of context in which to understand a person’s life. When we grieve, we are grieve for ourselves, for our loss, for our having to adjust to life in a different way. As Christians celebrating the life of a brother or sister in Christ, we need also to have joy. If our faith means anything, it is to have the confidence that God will take his own to himself and we can but celebrate the privilege of having known that person for however long it was we knew them. Yesterday’s funeral was not depressing, it was sad and people were grieving, but there was also a joy, a confidence and thanksgiving that Josh was safe in God’s care. I have been to an Irish wake…where going to a better place was ‘happily’ celebrated…!